Excellent news for chemotherapy patients! A new device called the DigniCap is helping women keep their hair even when undergoing chemo, which often leads to hair loss. 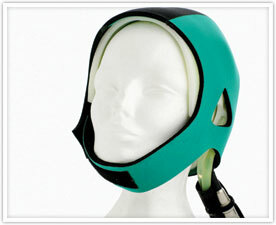 The device cools the scalp, reducing blood flow to the hair follicles and minimizing damage from the toxic chemicals. In a Japanese study, more than 82 percent of 255 breast cancer patients kept most of their hair thanks to the cap. Oncologist and medical professor Hope Rugo at the University of California, San Francisco, has launched a U.S. study of the DigniCap. She says FDA approval and wider availability could come in the near future. Email info@dignitana.com for more information. Another cooling option is the Penguin cold cap. Unlike the DigniCap, which has its own cooling unit, the Penguin cold cap must be cooled in a special freezer and replaced every 20 minutes throughout the chemotherapy session. The caps can be rented for around $500 a month.